Virtual Kollage: One year after the Sierra Leone mudslides – could another be lurking in the horizon? One year after the Sierra Leone mudslides – could another be lurking in the horizon? ONE YEAR AFTER THE SIERRA LEONE MUDSLIDES - COULD ANOTHER BE LURKING IN THE HORIZON? 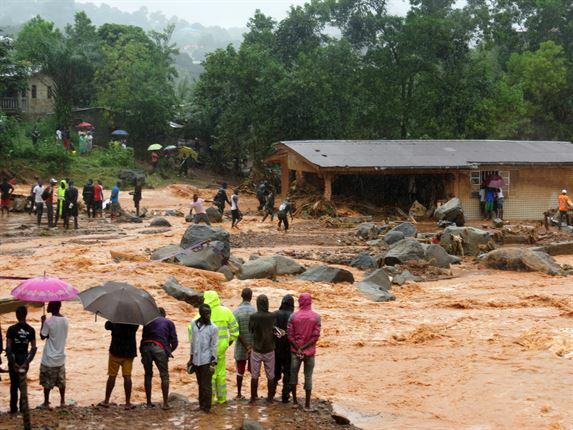 Exactly a year ago this month (August), three days of heavy rainfall and corresponding devastating floods led to a mudslide in the capital of Sierra Leone, Freetown, killing hundreds of residents. One year on, the activities around the hillsides of Sierra Leone seems to suggest that another disaster of the same kind could happen at any time. The three days of heavy rainfall during especially the wet rainy season was widely blamed for the mudslide. By the time all the water had passed under the proverbial bridge, 1,141 people were recorded either dead or missing and over 3,000 people were rendered homeless. 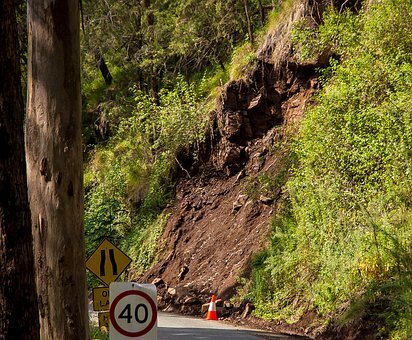 The three days of heavy rainfall was just the immediate cause of the mudslide. There were other remote causes which eventually led to the disaster. Many years before the mudslides of 2017, the Sierra Leone’s Civil War of between 1991 and 2002; had resulted in the indiscriminate felling of the countries trees for various purposes because there was no control. This had led to the deforestation of the land. In the years leading to the torrential rainfall that immediately caused the mudslide, there was unbridled construction of large homes on the hillside areas of the capital. Trees had to be cut down to make way for these constructions. The result was that the stability of the hillsides was rendered weak. A hazard had been created, waiting to metamorphose into a disaster. The drainage system in Freetown was nothing to write home about. The absence of a proper drainage system meant that the runoff water could not be properly channeled to avoid the havoc that was eventually caused. The above factors, being the remote reasons which caused the disaster, it came as no surprise to those who were overly concerned and feared such a disaster was in the waiting. 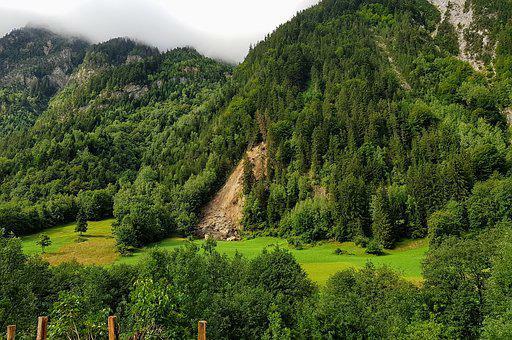 What is the surprise, however, is that there does not seem to be any change in behaviour in the aftermath of the mudslide which claimed so many innocent lives. Trees are cut down recklessly for its timber because it is needed and widely used in the construction sector. Structures are still going up in the hillside area, a phenomenon that was part of the remote causes of the August, 2017 mudslide. Charcoal business is still booming in Sierra Leone, in the absence of cheaper alternative means of generating fuel for domestic use. Charcoal is obtained after trees are felled and burned. The felling of trees to make charcoal is a further contribution to the deforestation of the country. The mining of stones is another cause for concern. Mining of stones is also to support the construction sector to build private property and public infrastructure. Important as these constructions may be, it also further weakens the holding capacity of the soil. Also, climate change, which is a known reality, is resulting in much fewer rains and when they do come, they are very heavy and much stronger. Experts are warning that there are going to be much stronger rains in the future, thanks to climate change. If in Sierra Leone, residents do not desist from the very things that caused the 2017 mudslide and loss of life, then the catastrophe of 2017 are only waiting to occur, the question is when?